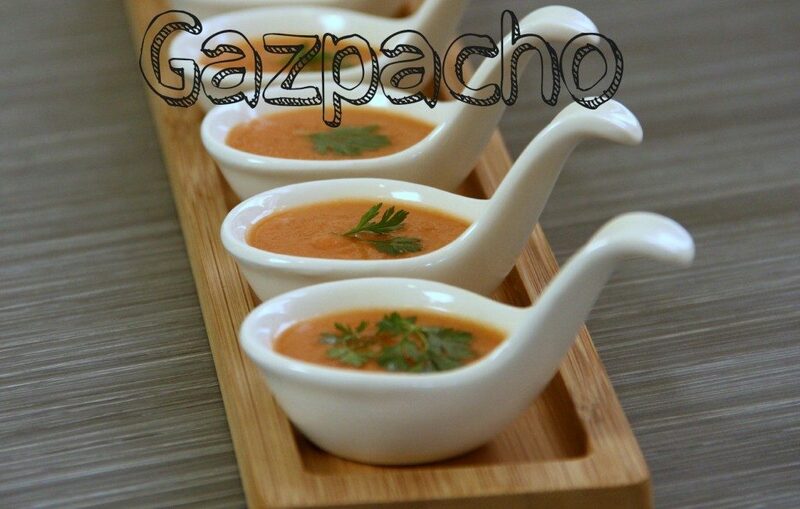 If you are searching for the perfect dish to make in the heat of the summer, gazpacho is the answer. This gazpacho is gluten free because I left out the bread that many recipes add. And let’s face it, everyone is looking for gluten free recipes, so why not gluten free gazpacho? All you have to do is drop some tomatoes in boiling water, add the ingredients in a blender, puree, chill and eat. Don’t believe me? Check out this video. If gazpacho isn’t your thing you can always try my chilled pea soup or my chilled cucumber soup. Plunge tomatoes into ice bath and cool. When tomatoes are cool. Slide off tomato skins, core and coarsely chop. Keep the cool water in case you need to thin out the soup. Add half of all ingredients to a blender and puree until smooth. If the mixture is too thick add some of the ice bath water. Add vinegar, olive oil, salt and pepper according to your taste. Chill. Before you serve check the seasonings and texture. Add more water if needed. Sometimes I forget how simple gazpacho is to make and how much I love it. Thanks for the reminder and easy recipe. Just had gazpacho near Barcelona and it was pureed like yours. I’d only had it chunky before, but I LOVED it! Thanks for the reminder, Judy! I need to make some!